On Saturday, August 20, 2016, the TUNE UP worship band gathering was held. Over 60 worship musicians, pastors, sound techs, and video techs assembled on the campus of Faith Lutheran Church in Bellaire, TX for a multi-denominational training event. 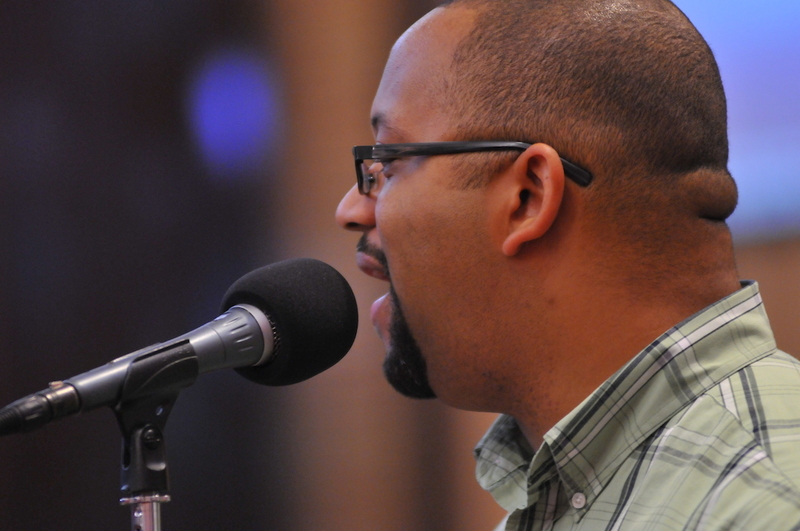 Continuing in its fourth year, the event was organized by the Worship Excellence Team of the TX-LA Gulf Coast Synod (ELCA) to improve the quality of band-led worship in smaller churches. The assembled musicians and techs represented 14 congregations including Lutheran, Presbyterian, Baptist, and United Methodist churches. Participants traveled from as far as Austin, Texas and DeRidder, Louisiana to attend the training event. The gathering began with opening worship and a panel discussion about the intersection of worship and culture. Then everyone divided into instrumental/vocal/tech tracks, and conceptual tracks. The instrumental tracks were divided by specific area (worship leader, acoustic guitar, electric guitar, bass guitar, keyboard, drums, vocals, sound tech, and video tech). Conceptual track offerings included sessions on music theory, collaborative worship design, making worship contextual, live streaming, and a web tool called Planning Center Online. During the “Coaching for Bands” session a volunteer church band from Messiah Lutheran in Cypress received feedback and help with their music from a panel of track leaders. One of our special guests for the event was Brian Hehn, Director of The Center for Congregational Song at The Hymn Society in the U.S. and Canada. Brian, who joined the house band on percussion, had this to say: “Great event. Thanks for doing this important work. The overall spirit of the event and people who attended/led was very joyful and kind-spirited.” Watch the website for details on upcoming events: TuneUpGathering.org. On Saturday, August 9, 2014, the TUNE UP worship band gathering was held. Over 100 worship musicians, sound techs, and video techs assembled on the campus of Faith Lutheran Church in Bellaire, TX (Houston) for a multi-denominational training event. Hosting over 100 participants for the second year in a row, the event was organized by the Worship Excellence Team of the TX-LA Gulf Coast Synod (ELCA) to improve the quality of band-led worship in smaller churches. 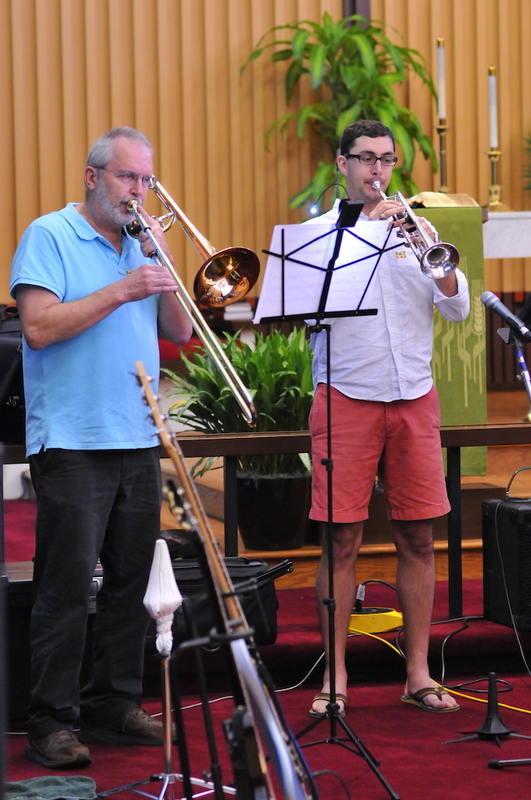 The assembled musicians and techs represented 20 congregations including Lutheran, Nazarene, Presbyterian, United Methodist, and Non-Denominational churches. Churches that participated were both from the Houston vicinity and rural parts of Texas. The schedule included times of worship, instrumental/vocal/tech tracks, and conceptual tracks. A team of track leaders with main speaker DeAndre Johnson (Westbury United Methodist Church) led worship. The instrumental tracks were divided by specific area (worship leader, acoustic guitar, electric guitar, bass guitar, keyboard, drums, vocals, sound tech, and video tech). Each group gathered together for training and instruction specific to that instrument. Conceptual track offerings included sessions on arranging hymns for worship band, multicultural worship, and renewing the arts in worship. 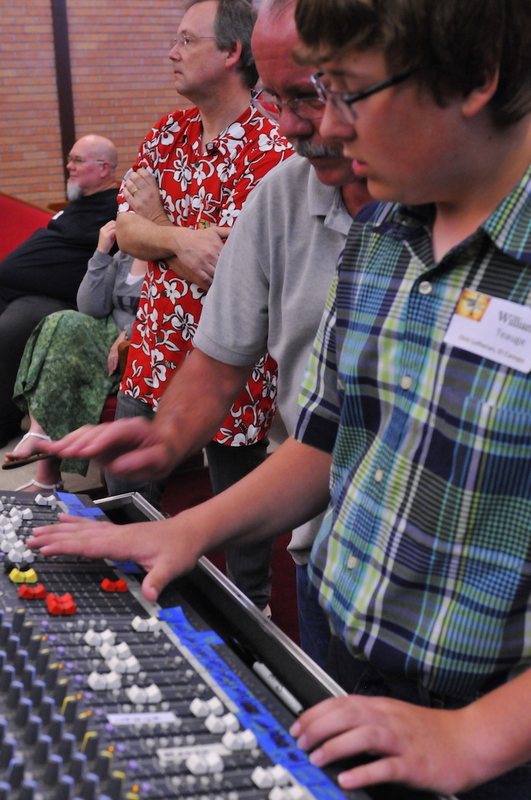 Additionally, a “Coaching for Bands” track was offered in which two church bands received feedback and help with their music from a panel of track leaders. After a second successful gathering, we will likely offer the event again in the future. Watch the event website for details: TuneUpGathering.org.